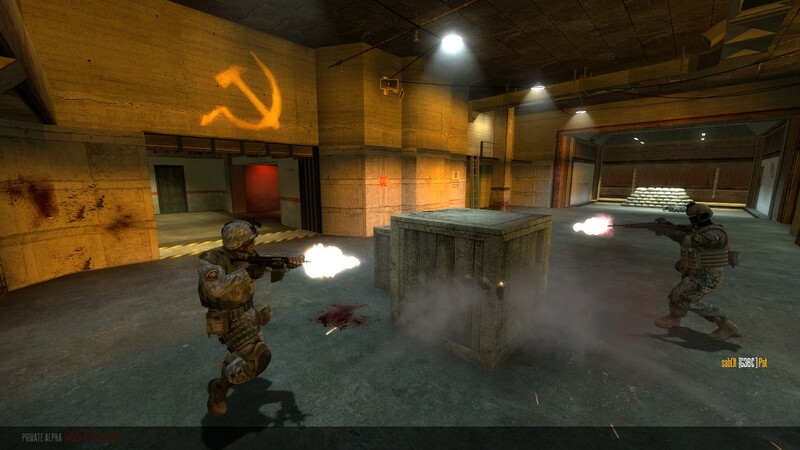 That’s right, the ever-popular Gun Game deathmatch mode is coming to FAS 2.0. 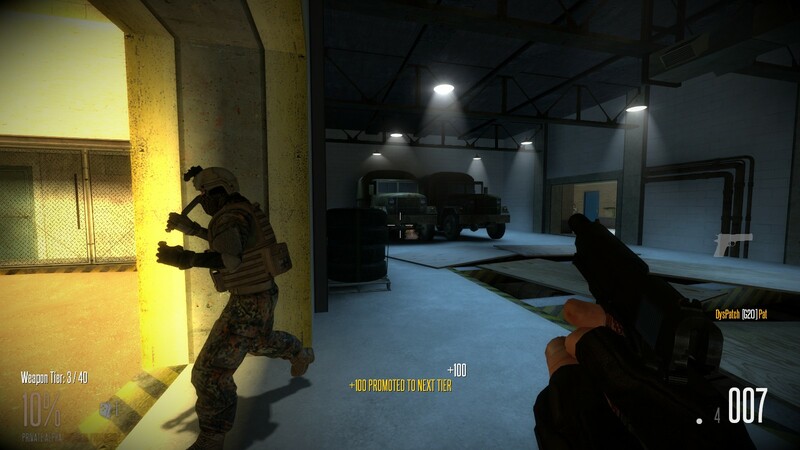 Stop and think about that for a moment – you won’t just be playing with the piddling 24-weapon arsenal of a game like Counter-Strike, but a full showcase of every weapon in Firearms. That’s over 40 unique implements of murder with more coming every update! In classic Gun Game style you’ll dig through our mountain of guns a kill at a time, from sidearms to sniper rifles, finishing the round with nothing but an M67 grenade and your trusty DV-2 combat knife. Rise up the ranks by scoring a kill with each weapon in order, and if opportunity knocks and you trust in your blade, take a stab at a knife kill to steal a level from your victim and knock them down a peg. But be careful if you do, however – one misjudged slash and they might do the same to you. Alright, alright. The first wave of 2.0 beta invites will be being sent out next week, commencing Monday 6th. If you want a chance to get a beta invite, head over to the forums! Follow this link to be taken to the public beta testing forum, and be sure to ready the sticky thread which contains everything you need to apply – it’s as simple as answering a few questions. Firearms: Source is also looking for an experienced sound designer who will assist through the development of weapon handling sounds, like reloading and deploying. As a team member, you’ll have access to custom sample libraries recorded specifically for Firearms. It’s also recommended you come equipped with your own samples, although not mandatory. We will be accepting applications starting today, and will be conducting interviews on our “Mumble” voice communication channel February 6th through March 1st 2012. Have some previous work ready to show us, and check your email for a reply regarding an interview date. You or someone you know can apply here at our Jobs page. I hope you’ve enjoyed this instalment of Down the Barrel. We have more coming next week, and I wish you all luck when applying for our beta test. As always, feel free to message me on the forums with any questions you may have – or just for a nice chat! This is Super Joe, signing off.